The year 2017 is drawing to a close and I, like Ebenezer Scrooge, am taking stock of my past, present and future. But I'll leave grievances, transgressions and regrets to Dickens because I'm not haunted by ghosts; I'm haunted by cravings. So my year-end reflections and resolutions are focused on my fork. Things I've always loved to eat (Ghosts of Dishes Past); new bites that delighted me this year (Ghosts of Dishes Present); and plans for culinary adventures in the coming year (Ghosts of Dishes Yet To Come). I'm often asked about my all-time favorite dishes and, like many of you, I have to reach far back into the past to recall a particularly spectacular plate (whole roasted fish in Madrid, 1999) or a special culinary memory (eating my mother's Bolognese sauce on my 12th birthday). But these memories aren't helpful without a time machine, and my mother doesn't make pasta sauce for just anyone. So I've assembled a list of local dishes that I fell in love with long ago and am still in love with. It's my list of evergreen Alaska favorites. Most of the selections are cheering but humble dishes. In other words, it's the Tiny Tim of "Best Of" lists. The chicken pho from Ray's Place has been a family favorite ever since my oldest daughter was brave enough to try soup that didn't come from a red-and-white can. The clean, clear, subtle broth, teeming with rice noodles, shredded chicken and aromatics, is the cure for the common cold and, I suspect, might cure any colds your traitorous body is planning to come down with in the future. We always order the jumbo size (regardless of appetite) and enjoy the Alice in Wonderland-like proportions of a soup bowl that is big enough to do laps in. 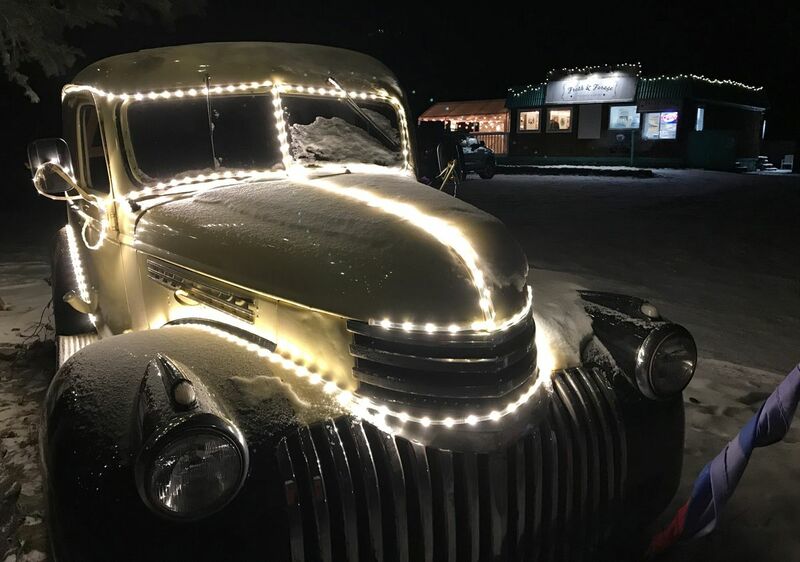 The Long Branch Saloon is a pleasantly dive-y South Anchorage watering hole that, in addition to vintage bar decor, large-scale TVs and occasional live music, offers some of the best burgers in town. Nicely charred, stacked high with creative toppings, and lovingly nestled into house-made buns, these burgers are the quintessential American classic. 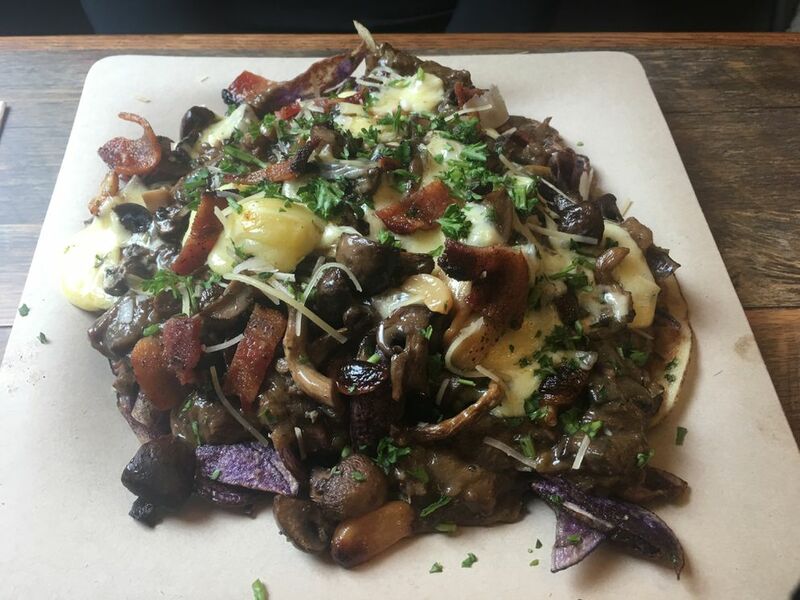 I've never written a review about Moose's Tooth Pub & Pizzeria (though I did write them up in a book called, "Where to Eat Pizza" that documents the best pizzas around the world). Why? Because most Anchorage residents could write their own exhaustive review and might even be able to recite the lengthy menu by heart. My absolute favorite is the Moose's Tooth Gyro Pizza — a lovely fusion pie that scratches my itch for a perfectly bubbly, chewy, charred crust and my itch for savory, spiced lamb and cool yogurt sauce that the classic street-food staple delivers. It's cool, bright and tangy, generously topped with feta, cucumber, red onion, parsley and, of course, lamb. Added bonus: It's delicious served cold. The French dip sandwich at F Street Station, served at lunch on Fridays only (get there early — they do sell out) is a sandwich that I get cravings for while in the act of eating it. 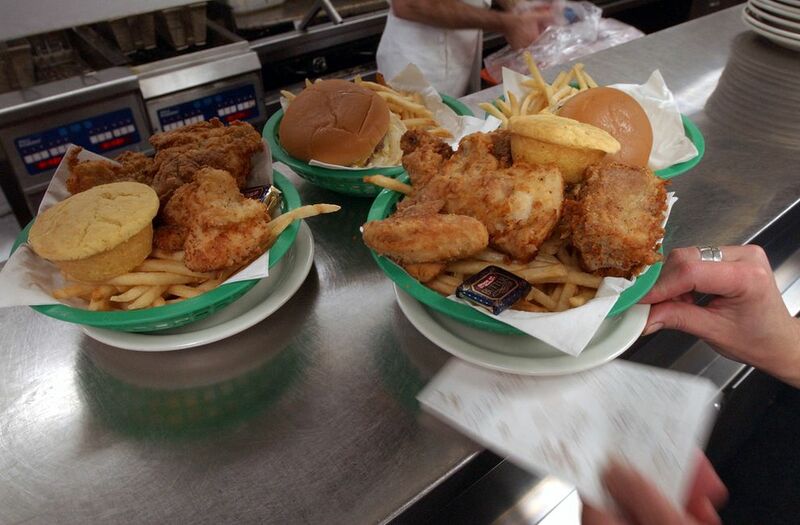 It's the O. Henry story of lunches. 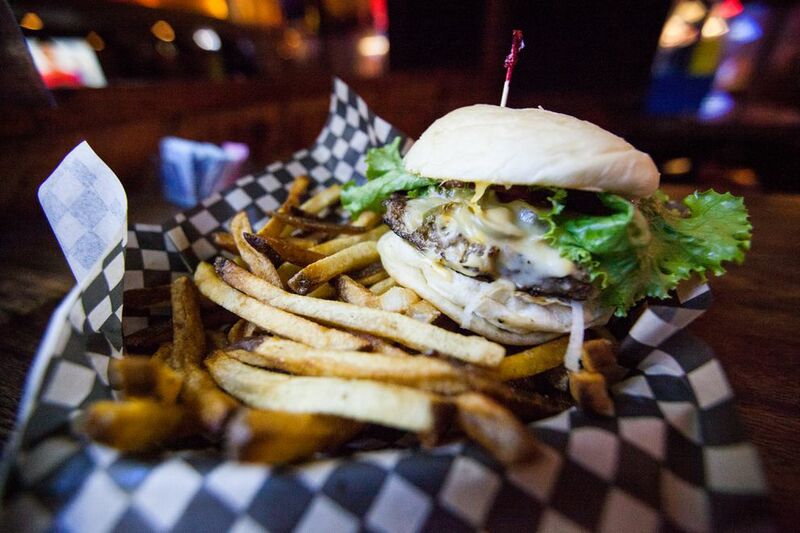 Tender, juicy prime beef is piled high on a crusty bun and beautifully balanced with a melty, smoky Gouda cheese. It is, hands-down, one of the best sandwiches I have ever eaten. I almost decided to leave off my beloved Lucky Wishbone because I mention it so often. I fear people suspect I'm being paid off in fried gizzards. But, the fact is, I'm just in love with the chicken. It's crispy without being greasy, moist without being mushy, and somehow — despite being fried chicken — feels wholesome and not too heavy. It's a family go-to for birthday and holiday parties, bonfires and camping trips. Delicious on the first day, it's almost better the next. And the restaurant's perfectly preserved '50s vibe? That's just, pardon the pun, gravy. You can tell a lot about a person by the way they eat. And if you were to look at my personal culinary journal of 2017 — oh wait, some of you have! — you might conclude that I had a rather stressful year. You would be right. My yearlong commitment to comfort food is a dead giveaway. I don't want edgy food when I'm on edge or challenging menus when I'm feeling challenged. It wasn't conscious, but my instincts and my appetite led me to cozy spots with familiar menus and a high tolerance for yoga pants. To be clear, I don't recommend stress-eating. 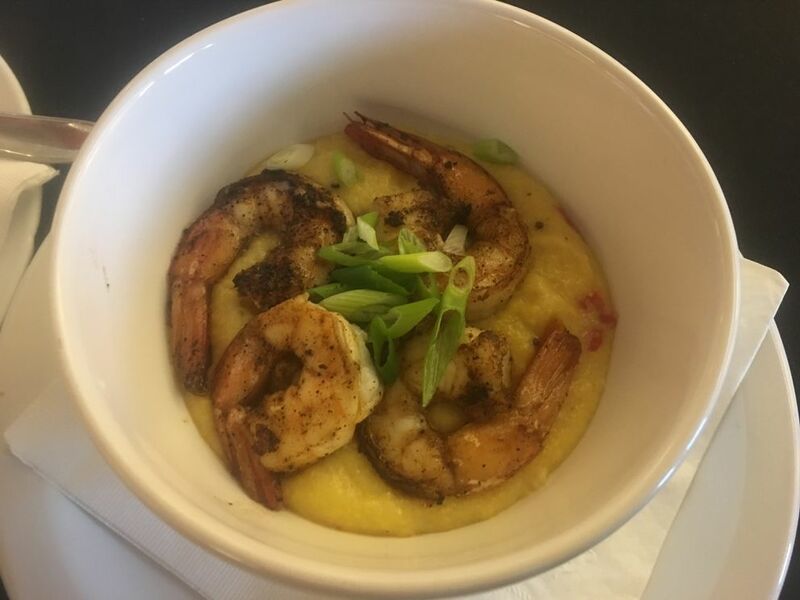 But sometimes a perfect sandwich, a plate of cheesy grits or a slow-cooked stew can be balm for the soul as well as the stomach. The second dish is almost embarrassing to describe. Called, poetically, the "doughnut sandwich," it is, in fact, a doughnut sandwich. But not just any sandwich. This one has soft cooked eggs, cheddar cheese, house-smoked bacon, and maple syrup all lovingly stacked inside a doughnut. But not just any doughnut — a house-made glazed doughnut that is so fresh it practically melts in your mouth. I realize that this sandwich sounds like a culinary oddity. But this breakfast delight should not be compared to, say, a ramen burrito or a Unicorn Frappuccino, or similar trend that is all style over substance. While ridiculously decadent, this dish is perfectly balanced, well-constructed and absolutely scrumptious. I suggest ordering a lighter breakfast and then splitting this with a friend for breakfast/dessert — or "bressert," as I just-now decided I like to call it. Scrapple, to the uninitiated, is a haggis-like Pennsylvania Dutch staple (without the sheep's stomach, in case you were worried), and if you've never had it, you should. We may be many miles away from its origin but the whimsical Red Chair Cafe can introduce you to this old-school treat (or get you your fix if you're already a devotee). A sort of meatloaf made up of pork trimmings, cornmeal, buckwheat flour and spices, it's sliced and then fried for a crispy exterior and creamy interior. This dish has the rustic appeal of sausage without the aggressive saltiness. The Red Chair's version, which uses pork shoulder, is hearty but not heavy and leaves you feeling fortified for your day's work on the farm or, more likely, doing last-minute Christmas shopping — two tasks that are equally exhausting. 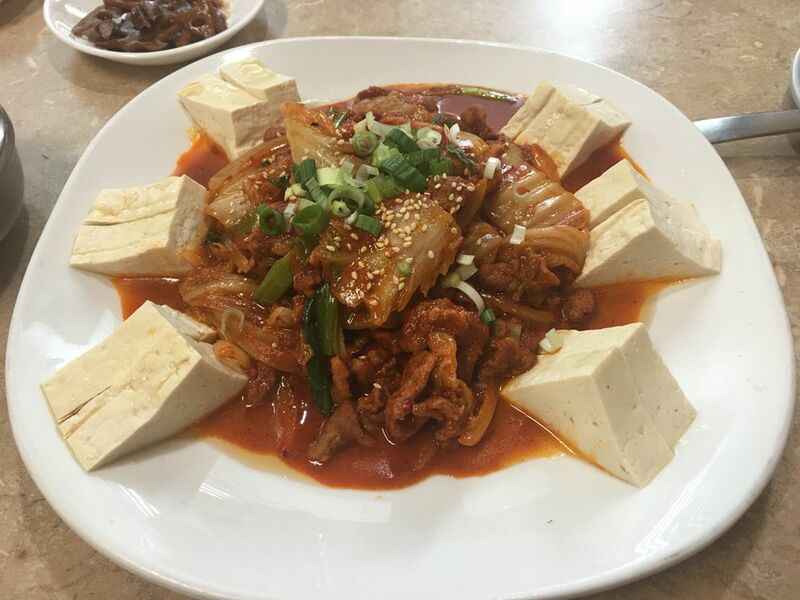 The kimchi jaeyuk tofu dish from WonJo Tofu House on Fireweed is everything that I love on a plate. Assertively spicy kimchi shares space with rich, buttery pork belly, while custardy tofu adds balance and creaminess. The dining room is low-key and feels pleasantly secretive, and the cheery, friendly service make this traditional Korean spot a Midtown oasis. My most recent favorite plate of comfort came from Mama Tuds Kitchen. There is something almost nostalgic about this restaurant's soulful slow-cooked dishes, even if you didn't grow up with traditional Filipino cooking. 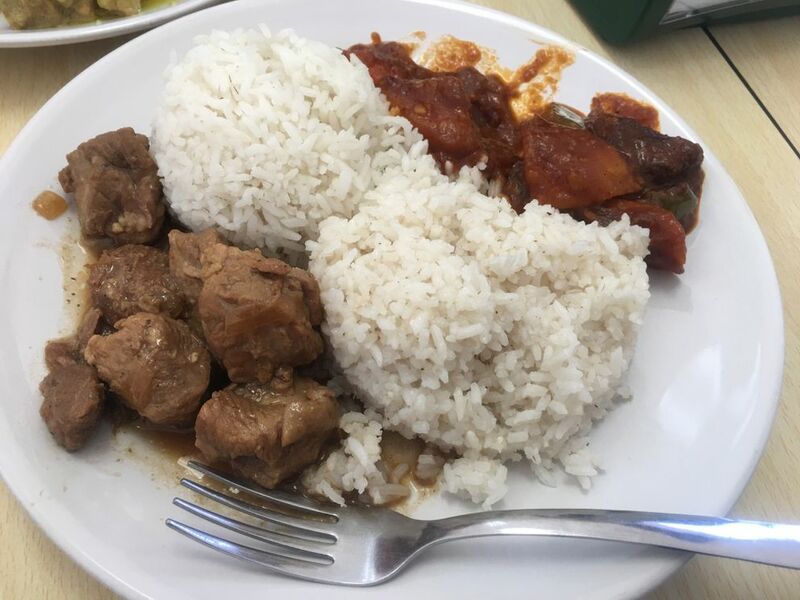 My favorite dish was the beef caldereta — a savory, pleasantly spicy beef stew with a rich tomato-based gravy, and thick, tender chunks of beef, potatoes and other vegetables. This dish will warm you from the inside out, and is only matched by the warmth of the service. I'm going to skip right past the part of the story where I gaze upon my unmourned, untended grave and land squarely, instead, on the Cratchett dinner table, complete with the biggest turkey a reformed Scrooge could drum up. Because like Scrooge, I'm resolved to make a few changes in the New Year. But unlike Scrooge, mine are all food-related. In a fit of optimism, I resolve to seek out culinary challenges in 2018. I'll be looking for creative, adventurous kitchens manned by the newest and next generation of chefs and restaurateurs. I'll be seeking out new restaurants with young culinary talent as well as older ones that are embracing new ideas. I'll be searching for new ingredients, new flavor profiles and new food philosophies. I might also focus on making some healthier choices — after a year of scrapple, grits and pork belly, it might be time to expand my palate instead of my waistline. But does that mean I'm going to abandon my beloved comfort food? For my answer, I turn again to Ebenezer Scrooge: "I will live in the Past, the Present, and the Future!" he said. "The Spirits of all Three shall strive within me." One of the best things about 2017 was getting feedback from my readers (even when you don't agree with me). Anchorage eaters really know their stuff. I love getting suggestions and look forward to hearing about your best bites of 2017 and the dishes you'd like me to check out in 2018 (write to dining@adn.com). I'll end by wishing you all a joyful holiday season, unsullied by "an undigested bit of beef, a blot of mustard, a crumb of cheese, a fragment of underdone potato." Because even if you don't get visited by three ominous ghosts, nothing good ever comes from eating bad food.